Hello, my name is Sergio Cruz Navega (snavega@intelliwise.com), I am director of Intelliwise Research and Training, a consulting company in Business Intelligence and Data Mining that also develops research in Artificial Intelligence and distributes a line of Digital Booklets. My interests are broad enough to encompass both symbolic and connectionist architectures. I am interested in the foundational aspects of intelligence and how both approaches can eventually be merged in order to combine specific advantages and cancel disadvantages (Marcus 2001). I am also interested in Natural Language Processing and Knowledge-Based techniques, with special interest in the application of Ontologies for knowledge sharing. Other area relevant to me are Intelligent Tutoring Systems. I am very interested in the emergence of cognition in children, including language acquisition (Pinker, Elman, Bates, Spelke, etc), arithmetic reasoning (Dehaene, Anderson), perception (Gibson, Sekuler), cognitive abilities of babies (Saffran, Marcus, Gomez) and more. I have a special interest for Implicit Learning, Artificial Grammars, Sequence Learning (Reber, Berry, Dienes, Cleeremans, etc) and all sorts of behavioral tests that can shed some light on the problem of understanding human cognition. I have interests in inductive methods and the importance of analogical and metaphorical forms of reasoning (Thagard, Holyoak, Lakoff, Fauconnier, Veale, Kokinov, Gentner, etc). Creativity is also among my primary interests (Boden, Sternberg, Weisberg, Smith, Finke, Ward, Hofstadter), along with Computational Scientific Discovery (Thagard, Klahr, etc). I have a strong interest in computational models of populations of neurons and the synchronous behavior of ensembles (Singer, Gerstner, Li, Edelman, Maass, Hertz, Sejnowski). I accompany with interest all discoveries related to learning (LTP, hebbian models, hippocampus, etc), emotion (LeDoux, Damásio), vision (Kosslyn, Zeki, Pylyshyn) and also the temporal nature of human vision. My definitive goal is to extract from these disciplines the most important insights in order to understand what is intelligence, and then how to implement functionally equivalent processes in computers and robots. A more detailed text about my interests can be found in my research statement, an eternally "under construction" document. Some thoughts by respected thinkers that inspired me can be found in my Phrases Page. I have been quoted in an Interactive Week magazine's article. But if you want to know more about the things I care, I suggest that you go to my page of Selected Newsgroup Messages, that carries some "heavy stuff" material. I frequently participate in discussions in comp.ai.philosophy, comp.ai and comp.ai.nat-lang Usenet newsgroups. I have some technical reports and publications available for download. I also participate in some local discussion groups, some messages can be read clicking here (all texts in Portuguese). Por Que Meus Seminários São Intensos? Curso em CD-ROM: "Como Argumentar Melhor"
While still in college, Sergio founded the GAE, Grupo de Atividades Espaciais, a group devoted to do research in rocket science. The group attracted the attention of the CTA/IAE (Centro Técnico Aeroespacial / Instituto de Atividades Espaciais, now AEB-Agência Espacial Brasileira), a brazilian government agency in charge of research in space exploration. As a result of this interaction, Sergio won in November 1976, the first prize of the II RNCE, awarded for a computer program (Fortran in a B-6700 Burroughs computer) that calculated precise trajectories of rockets including variable atmospheric effects due to altitude. Sergio was contracted by Rhodia Brasil (brazilian subsidiary of Rhone Poulenc, the large French chemical industry) to develop a microcomputer for process control for use in its Research Center (Paulinia/Sao Paulo). The project used the Motorola MC6800, an 8 bit microprocessor and had a "huge" amount of memory for the time (16 kbytes), a video terminal (64 chars/16 lines) and interface to a Seletric IBM typewriter, acting as a printer. All design of the project (including PCB design, circuit design, system specification and ROM monitor program development and application programs) was done by Sergio. Sergio participated in several software companies (Brain Sistemas de Informatica, VideoSoft Informatica and others) where he lead the development team of several software projects. Sergio gave several lectures on Videotex systems during 85 and 87 for the 3i Company. 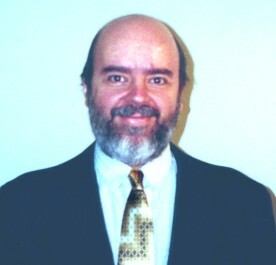 In 1984, Sergio developed VXLAN, an innovative language to program sequences of animations in Videotex systems. That was also the time of the development of the Videotex project with Ogilvy & Mather, which used not only VXLAN but also other softwares developed by Sergio. Sergio founded SCN Informatica, a company specialized in creative systems software. The first product was GCOM, an innovative system for multiuser transaction processing that included a native programming language (GAL language), one of the first compilers of a Portuguese programming language. GAL is a high-level language, similar to Modula-2, with several extensions (B+tree database, screen design in code, concurrent control of multithreading, multiuser support, links with external mainframes, etc). During 5 days, Sergio participated at the CEBIT '88 fair, in Hanover, Germany, presenting his GCOM system to interested parties in east Europe. During six months, Sergio provided consulting services to TSE (Tribunal Superior Eleitoral, High Electoral Court). The consulting was essential for the development of the system that was used to process the Presidential Elections of 1989. The GCOM system was used by TSE to acquire and total all the data from the TRE (regional state tribunals) and to display it in real time. The system was fundamental for the election process and performed with no problems. GCOM won the public competition of Teleceara (public telephone company of Ceara) for a Videotex Server. The system was installed with several gateways to other mainframe computers providing real-time access of information to anyone with a VDT terminal or a microcomputer. Gazeta Mercantil started using GCOM for its Invest News service, a real time economic information system. In 1994, Reuters started to use GCOM as a link between Gazeta/other national sources of information and its link in New York, that distributed the information worldwide. Sergio developed the applications in the Reuters servers and participated as a consultant in Gazeta's system. Sergio develops NewView, an innovative protocol able to code images and graphics using a clever compression scheme. NVCOMP was also developed, to compose images using the full visual resources of Windows environments. Starting this year, the main activity of Sergio is centered around Artificial Intelligence and Cognitive Science, continuing a passion for intelligent computers that started in 1986. Shortly after, Intelliwise was founded and a plan started to sketch several software products to be implemented in the coming years. Using all the accumulated expertise and knowledge in the area, a line of seminars for corporations is developed. Intelliwise also specializes in Consulting for Data Mining and Business Intelligence. This is the year where Sergio launched his line of Internet accessible seminars. Intelliwise Digital Seminars (in Portuguese) is a way to watch Sergio's growing list of high-level seminars, most of them based on a long-term course that he taught in 2000. You an see (and hear) a demonstration clicking here. A complete refurbishment of this web site will inaugurate the release of more information about Sergio's research in Artificial Intelligence. This is also the year of the publishing of the long awaited "Pensamento Crítico e Argumentação Sólida" book.